Sometimes listening to an author’s interview at the right time can you make read their novel. 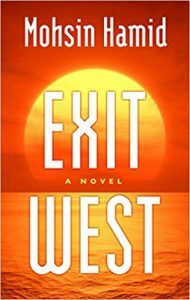 This interview on the Guardian Books podcast made me want to read Exit West by Moshin Hamid. He spoke about hopefulness towards immigration and how we are all migrants. I have moved several times in my life (one move was across the country) and his thoughts about being a migrant resonated with me. The story revolves around Saeed and Nadia, a young couple, trying to navigate their lives in an unnamed Middle Eastern city. It seems their life will change for the better when they went through several doors that lead them to various locations around the world. On the surface, the doors seem to be a magical lottery ticket. However, the couple learns quickly that life as a refugee is inescapable. Hamid creates compelling characters in Saeed and Nadia but the narrative had a gentle and distant quality that reminded me of Station Eleven. Even though, those two novels are not alike. I felt as a reader that distance to the main issue (immigration and refugee life in this novel and a dystopia in Station Eleven) were similar in tone. Maybe, the distant tone to the theme provides another layer needed to tackle the terrain both books covered. I read this novel in two nights and was engrossed by the story the entire time. Also, Exit West has given a different perspective about immigration and what refugees deal with on an everyday basis. 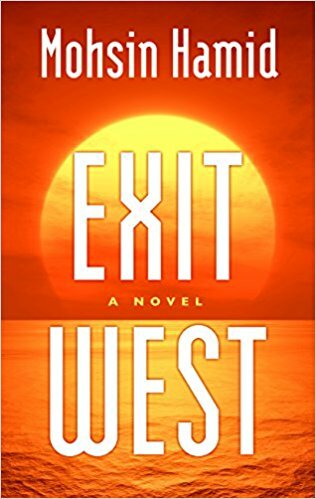 Exit West will be one of my favorite reads of 2018 and I highly recommended it.